The fourth meeting of the American Association for the Advancement of Science was held in 1850, in New Haven, Connecticut. The meeting began on Monday, August 19, with a general meeting. It went on for several days, with meetings on Geology and Natural History on Tuesday and Wednesday, meetings on chemistry and mineralogy starting Wednesday afternoon, then on through several other specialized subjects. Louis Agassiz was elected president of the AAAS at one point, and at another the first female member of the association, 32 year old astronomer Maria Mitchell, who had recently discovered a comet, was admitted. Proceedings of the meetings were carefully documented, and were later published in the Proceedings of the American Association for the Advancement of Science, Volume iv, 1851. An incident that occurred on Saturday was documented on page 348. Thirty-one year old Samuel Junius Parker was a member of the Association, but had not published anything prior to that time. He had been a pastor at three different churches, and was still an active pastor at one of them. He would soon quit the ministry to train as a physician. 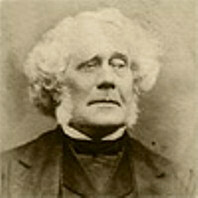 Later in life he would publish a book about his father's (who was also named Samuel) exploits on the American west coast, but nothing related in the least to natural history. So Samuel J. Parker found a snail, decided it was a new species but did not really look at other known species to prove that it was not one of them. Then he wrote a description of it and presented it to the Association. Louis Agassiz decided to make a public spectacle of his efforts, even though he could probably have talked to him privately and gotten him to withdraw the paper. Suppose there was a twenty-two year old female. Let's call her Helen Fitch. Suppose she actively collected and understood snails. In fact, she brought the snail shells she collected to Professor Agassiz. Suppose Helen found a snail that appeared to be new to science. Women would later have a standing in the AAAS, but prior to 1850 it was an all male organization. Perhaps she would write a description of the snail, then give it to someone who was a member of the association to present under his name. Perhaps Professor Agassiz caught wind of this and did not approve. There could many reasons that he would disapprove of this, but maybe it was just that he would prefer her to come out in the open. 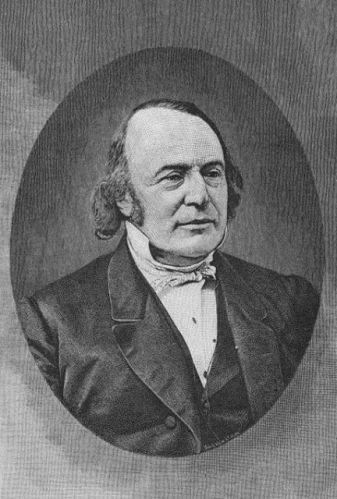 Louis Agassiz had his faults, but he was generally considered someone who advanced the cause of women in science. He was also known as something of a difficult taskmaster. Helen Fitch went on to marry Henry Parker, the younger brother of Samuel, about two years after this incident. She also wrote three books on natural history, one of which was specifically about terrestrial snails. Those books were written for a Sunday School audience, and were published under the authorship of "H.F.P," so they were, in a way, published anonymously. And maybe, just maybe, she would later discover a butterfly that became known as Oarisma poweshiek.